Real Simple’s Real Sleep Mattress Review was recently completed by the MattressJunkie.com team. Real Sleep by Real Simple was made to address key sleep issues people consistently face. From snoring partners to sleeping hot, Real Simple decided to solve the #1 issue that causes poor sleep. 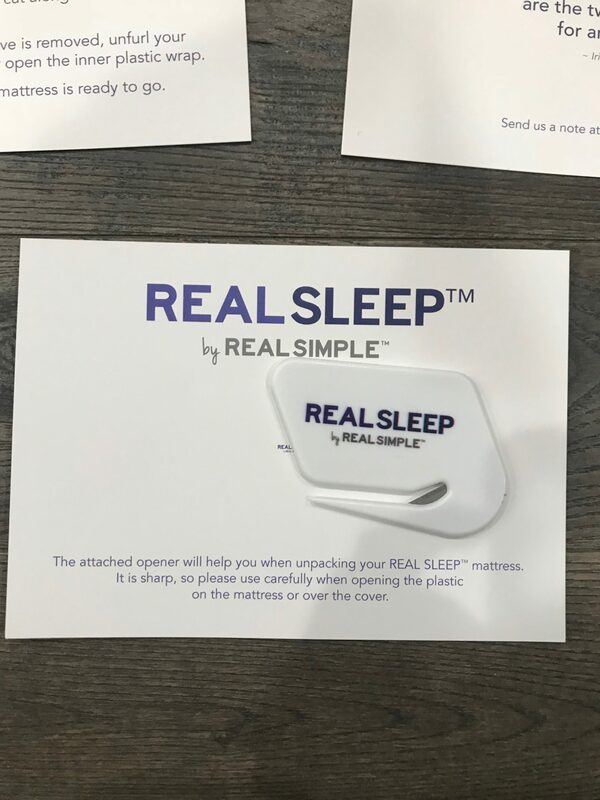 By partnering with sleep scientists and mattress manufacturing experts, Real Simple created the Real Sleep Mattress. Through Flora Flex, Real Simple’s Real Sleep Mattress has an open cell memory foam technology, temperature regulation is top notch. Check out more of what we thought about the Real Sleep Mattress below. Tell me more about Real Simple’s Real Sleep Mattress cover. 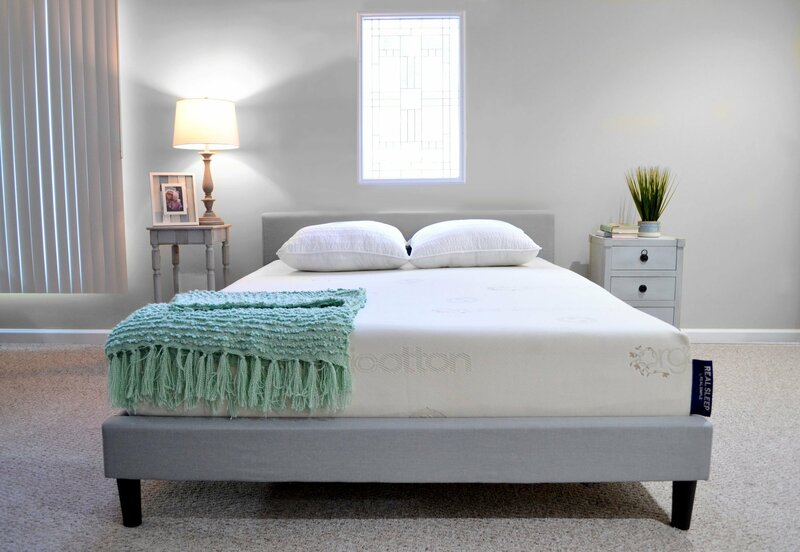 The Real Sleep Mattress has an ultra-breathable, organic cotton cover. The cover is zippered and washable. What’s Under Real Sleep Mattress cover? The Real Sleep Mattress is made of Real Simple’s Flora Flex foam. Flora Flex Foam is a memory foam that has an open cell structure designed to pull heat away from the body. Through the Flora Flex Foam, sleeper’s get to enjoy a temperature regulated sleep surface that conforms and contours to their body while also providing targeted support for the neck, back, and hips. 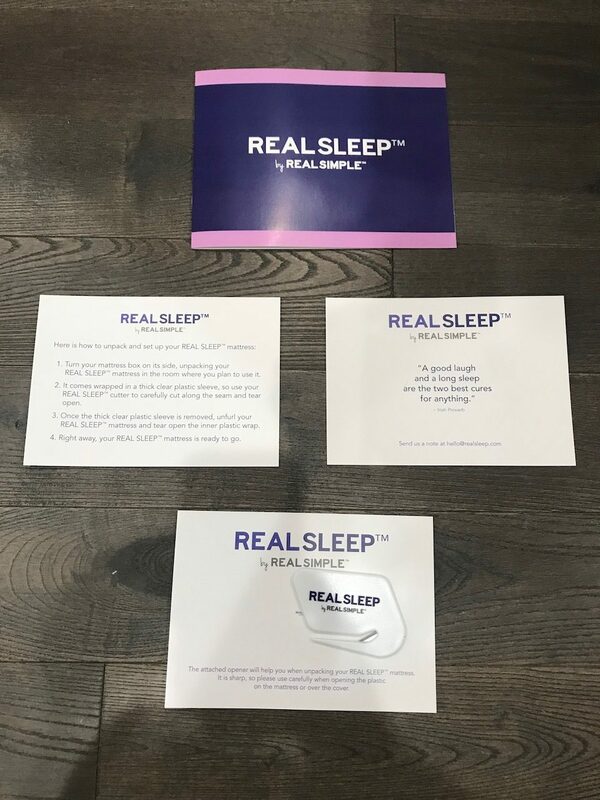 What Sleep Style Works Best with Real SImple’s Real Sleep Mattress? The Real Sleep Mattress is a medium in terms of firmness. I recommend medium mattresses for side and back sleepers. What type of base should I place my Real Sleep Mattress on? 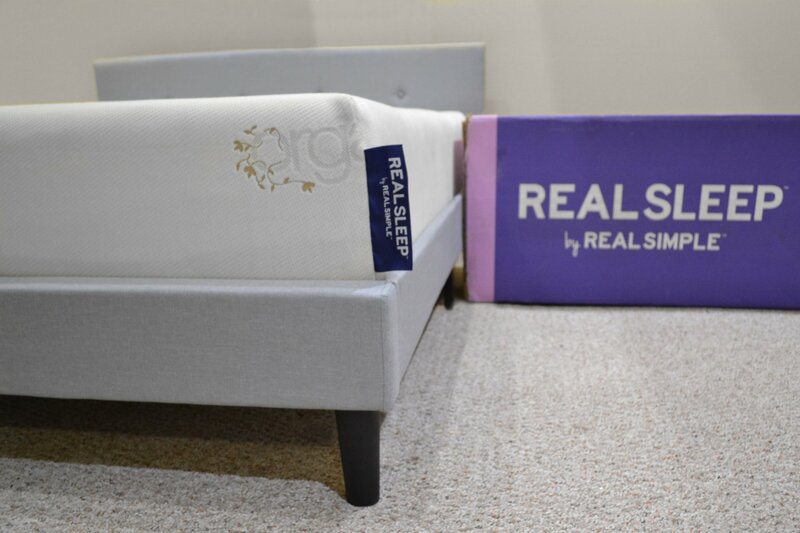 We reviewed our Real Sleep Mattress Review on a regular bed on top of a box spring. Any flat surface such as a box spring or even the floor would work just fine. Most mattresses have an odor to them when you unroll and remove the vacuum sealed plastic. This “new mattress” smell is called off-gassing. Off gassing is not harmful nor toxic in any way. As your mattress breathes, the off-gassing smell will fade. The Real Sleep Mattress had little to no noticeable smell when unrolled. What Type of Warranty and sleep trial Does Real Sleep Mattress Offer? Real Simple offers a 10-year warranty and 100-night sleep trial on their Real Sleep Mattress. How much does the Real Sleep Mattress cost? Do we recommend Real Simple’s Real Sleep Mattress? The Real Sleep Mattress by Real Simple sleeps ultra-cool and was ultra-comfortable. If you prefer memory foam but tend to sleep hot, Real Sleep is a great option for the perfect sleep environment. 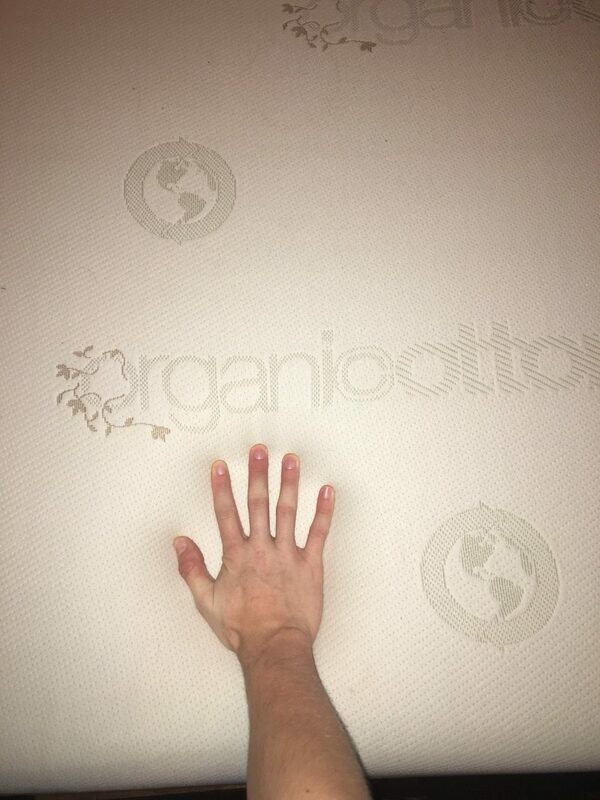 The mattress is antimicrobial and resistant to dust mites in addition to being cool and comfortable. Throw in the 100-night money back trial and you have nothing to lose.